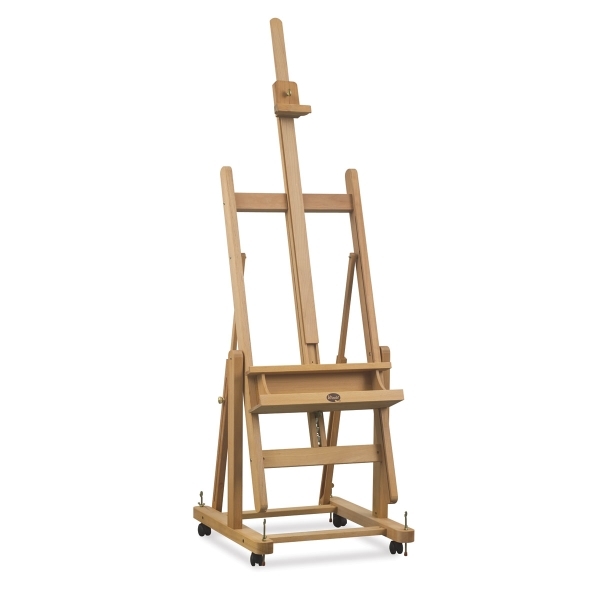 The Blick by Jullian Convertible Easel is a versatile workhorse that quickly converts from a traditional vertical easel to a horizontal table-style easel, or any position in between. 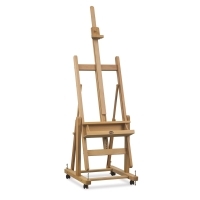 It's ideal for any type of painting and can handle a canvas as large as 94". 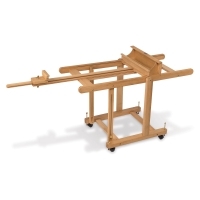 Custom crafted exclusively for Blick, it is made of stain-resistant, oiled European beechwood. Height adjustment is easy thanks to the ratcheting mechanism. A large storage tray is handy for keeping tools, rags, and other painting supplies close at your fingertips. The base measures 26"W × 29½"D, and the mast extends as high as 120".